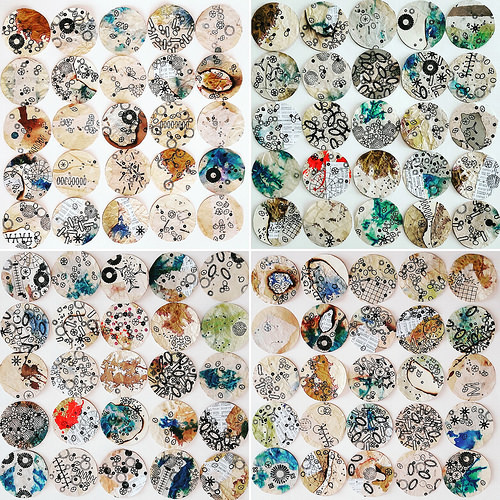 My work highlights the diversity of plastic items washing ashore and how the ubiquity of this material characterises the geological age of human influence – the Anthropocene. During my residency, I aimed to combine the geological ‘deep time’ of the rugged Cornish coast alongside the temporary tideline, where single use plastics are arranged on the shore by the waves. A daily visit to Priest’s Cove allowed me to read the changing tideline like a narrative, where groupings of objects arrived on the shore to tell stories of our time. This shifting tidal poem was a huge inspiration for the prints created during my two weeks at Brisons Veor. 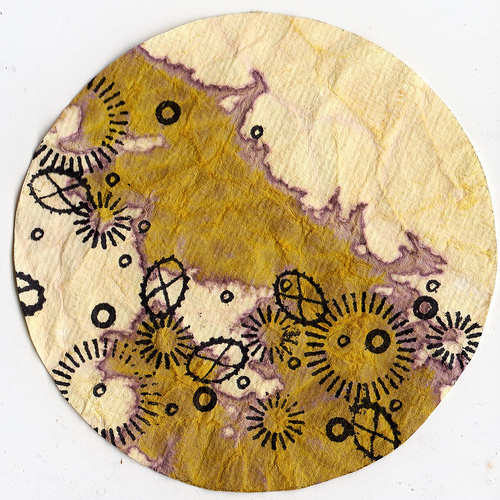 My two weeks at Brisons Veor allowed me the time and space to take my work much further, experimenting with different papers, inks, prints and methods while enjoying the challenge of representing many of these concepts visually, yet never straying from a circular microscope vista. It was a challenge to incorporate the coastline into this work, but I am pleased with the results, which I feel offers a new depth and layer of representation to the concept behind my Anthropocene prints. Time and space away from routine and obligation allowed my mind to meander with renewed freedom and curiosity, expanding my own work into the realms of other disciplines. This distance from my usual practice has enabled me to refine my direction and replenish my approach with much enthusiasm and fervour for the coming year. 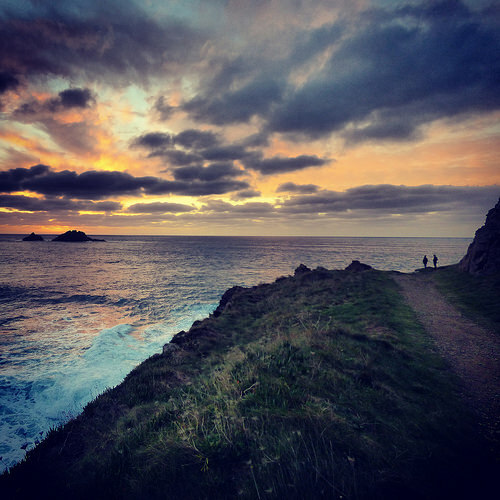 I left Cape Cornwall on the last day of 2016 teeming with new ideas, and it is easy to see the effect of this inspiring place seeping into my work. Notebooks full of observations coupled with the 100 prints has awakened a hunger to realise many creative ambitions in 2017. I have also recently been contacted by BBC Countryfile to talk about a forthcoming feature on me and my work. And as before, although this is not directly related to the Residency, it is another example of how time away from my normal routine has enabled me to look at my practice, refocus and develop my offering. I really feel that the two weeks allowed me to flourish.